I use these for minor cuts, wounds, bruises and burns. Thoroughly wash and clean the cut or wound in warm water with a few drops of Lavender and Tea Tree essential oils, which both have antiseptic and anti-bacterial properties. Dry with care, then put a small amount of Rescue cream or Comfrey cream on the wound and cover with a clean dressing. Replace the dressing as necessary. When a scab has formed, rub Lavender essential oil into it to speed a complete recovery. Lavender will also alleviate pain. Comfrey cream could be used instead of Lavender for this, as it is very effective at repairing broken skin. 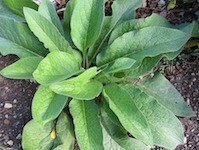 Use either Comfrey Cream or Rescue Cream to speed healing. Rub into the bruise regularly until it has healed. Comfrey has amazing healing qualities when used on damaged skin. It will heal bruises in a very short time You can see how it works for yourself if you wish, If you boil some cut up meat with a few leaves from the Comfrey plant, you will see that the meat melds back together into one piece – it is quite amazing to watch! Comfrey has been used for hundreds of years, and has the nickname of :Knit Bone” because it is so very effective in the healing of all kinds of bruises, sprains and even broken bones. Rescue Cream is made from a combination of six of the Bach Flower Remedies. It is extremely effective in the healing of damaged or irritated skin and rashes, including nappy rash. A friend of mine once ran between a car and a trailer, failing to realise that they were still connected by the tow-bar, and received a large and very painful bruise. I immediately rubbed some rescue cream into the bruise (I always carry my favourite natural remedies with me. My friend was very sceptical as to whether it would help, and was really amazed at how quickly the bruise (and the pain) subsided! I also gave him a dose of Rescue Remedy, which is very effective at relieving any kind of shock symptoms, stress and anxiety, and which quickly calmed him down. It is made from five of the Bach Flower remedies. 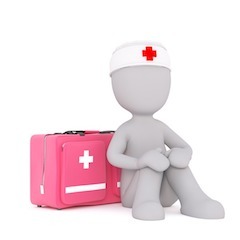 Severe burns of course must be treated in hospital, but you can definitely treat more minor burns at home. For this I use a combination of Lavender essential oil and Aloe Vera. 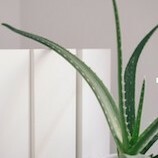 Aloe Vera gel is most effective at soothing and cooling skin. I keep a few Aloe Vera plants on my kitchen window sill to use when I need it, but it is also possible to buy Aloe Vera Gel. As soon as you get a burn, try to cool down the skin immediately by holding it under cool to tepid water. Do not put ice onto the burn, as it could shock and further damage the tender burnt skin. Add some drops of Lavender on to the open leaf, and apply it to your burn. Hold it there as long as you can. The Aloe is cooling and it will also help to push the Lavender into your skin. Lavender will sooth the pain and will help to prevent scarring. Subsequently, apply lavender essential oil to your burn frequently to help healing and avoid scarring. Carry on applying Lavender over the following days until the burn scar has disappeared. Sunburn can be very painful, and it is important first of all to cool it down, and then to soothe it. Mix together one drop of Lavender Oil with one tablespoon of Aloe Vera Gel and gently spread it over the sunburn. Mix together 2 drops of Lavender Oil with two teaspoons of Raw Honey and two teaspoons of Aloe Vera Gel. Honey is a natural moisturiser, and it is important to moisturise sunburnt skin. Apply this mask to moistened skin, leave for about 20 minutes and then gently rinse it off with Luke-warm water. Migraines can be very debilitating. But there are several things which you can do to help to minimise the frequency and severity of your Migraine. The most important thing to do is to watch your diet. Take careful note of any foods which you have eaten immediately prior to your migraine attack, and try to work out which foods could have been the trigger for it. Avoid processed foods, as they can be inflammatory. Try to cut back on foods containing gluten – mainly wheat-based products. Make sure you have a good intake of Magnesium based foods – leafy vegetables, nuts, seeds, whole grains and beans. Magnesium can also be found in chocolate, dairy foods and coffee, if those are not your trigger foods of course. You can also take a Magnesium supplement. Ensure that you have sufficient Vitamin B in your diet, or take a good Vitamin B supplement. Drink frequently, and never allow yourself to become dehydrated. 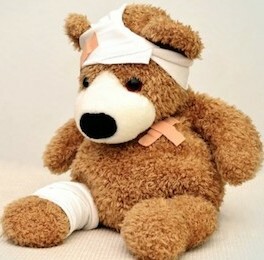 There are several natural first aid remedies for them which you can safely use. Lavender has a sedative and soothing effect. It can be used as an inhalant by adding several drops to a basin of boiling water, cover your head with a large towel and breathe deeply. Inhale for up to 15 minutes. You can also put a few drops of Lavender in the palm of your hand and rub it into the pressure points on your forehead and your neck. Peppermint has a cooling effect, and can be used in the same way as Lavender on your pressure points. Apple Cider Vinegar and Baking Soda can both help to detoxify your body, helping to remove the toxins which contribute to the headaches. Add them to a bath which is as hot as you are comfortable with, and also add a few drops of Lavender and Peppermint and just relax! Feverfew is a plant, the leaves of which contain natural chemicals which are very beneficial in the prevention and treatment of migraine and headaches. 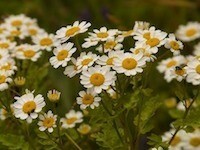 You can obtain Feverfew in capsule form, and one 60mg capsule per day will help to prevent migraines. If you have a migraine or headache, a slightly larger dose will help to alleviate it. The directions for the doses will be on the capsule container. Willowbark, as its name implies, is made from the bark of Willow trees. It has been used throughout time for the treatment of headaches. It contains a natural chemical which is the same chemical as is used in Aspirin, and should be used in the same way as you would use Aspirin, and should not be taken to excess. You can obtain Willowbark in tablet form. I do hope that you have found this information useful, and that it will help you. As usual, I would be very happy to answer any questions you may have if it is within my ability. if you do have any questions, please feel free to leave them in the Comments box below and I will answer them as soon as I possibly can. Equally, if you have any other opinions or comments I would be very happy to see them in the comments box, and of course, I will answer them. 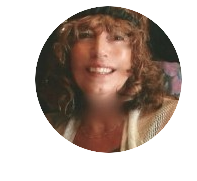 I will regularly be adding posts to this website about the various remedies, and if you would like to be notified when a new post is published, then please leave your email address in the box provided at the side of this post, or in the Comments box. This is terrific information! I must check my cabinet and make sure I’n not lacking any! I am so happy that you found it useful Dianne. Thanks for sharing this post. You’ve got some great ideas here. I usually head to the drugs cabinet or the first aid box for when I have an issue but now I’ll think twice and will try some more natural remedies to see how they go. It had never occured to be that people have probably being using these solutions for hundreds of years! Keep up the good work! Thank you so much or your comment James. As you say, people have indeed been using such natural remedies throughout time, and if they were not effective possible the human race would have died out!!! Do give Natural Remedies a try – they are much more pleasant to use than drugs, and for many ailments they can be equally effective! Many thanks for your encouragement, and I will most certainly continue to offer natural advice. Love your post. You have a lot of good suggestions for natural remedies. One natural remedy that I didn’t see was the use of vitamin E oil for cuts. I had heard that vitamin E could not only help with healing, but also minimized scaring. Do you know if that is true? I’ll also leave you with a natural remedy from here in the southwestern U.S. We use Nopales (the prickly pear cactus) to soothe burns, it’s similar to Aloe! I am so happy that you liked my suggestions. 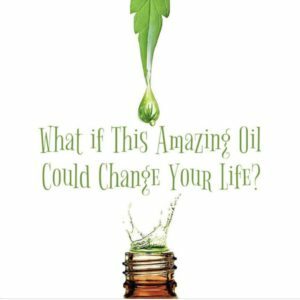 Interesting you should mention Vitamin E – I have mentioned it in my post about What Natural Remedies To Use For Skin Problems And Disorders, and I too believe it can help with healing and minimising scarring. I am interested to hear about the prickly pear – I have heard of it of course, but have never come across it in the U.K. I am so very glad that you enjoyed visiting my site and reading the post. That you will try others should you need them! I love the teddy bear too!!! Previous Previous post: How to Treat a Cold Naturally. Help with Colds, Coughs and Flu. Next Next post: How Is Lavender Essential Oil Made And How Is It Used?